Hi, some time ago I noticed that Snap Region captures with MaxSnap (as the snap feature is called) cannot be sent through Viber. There were no problem pasting the image in Skype. I opened a ticket with Viber and they refused to have anything to do with this problem claiming it's not them. Then I tested and saw that with other means (Windows, ShareX) the image can be pasted without problem. Recently, I noticed that when opening PNG images in Windows 10 Photos app, the image is opened and the slightly blurred (becomes out of focus). Obviously, again, it happens only with PNG images saved from Maxthon. Please see attached images from the Photos app with two snapshots of the same region made with Maxthon and with ShareX. 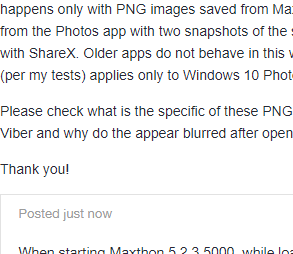 Older apps do not behave in this way with Maxthon's PNG, this so far (per my tests) applies only to Windows 10 Photos. Please check what is the specific of these PNG files and why they can't be pasted in Viber and why do the appear blurred after opening in Photos. 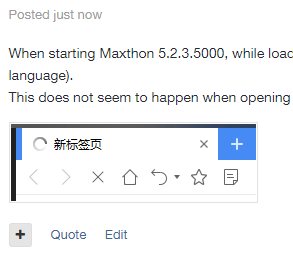 I don't think it's a Maxthon issue. A quick search seems to indicate that it's the photo's app that might be the issue. Seems to be related to the image resolution, or possibly a problem within the app itself. Apparently reinstalling Photos might fix it. I cropped 2 images in Maxthon to the same resolution as you had and they both showed the same issue (larger was blurry, other not). Also your images don't show the issue unless you open them locally. This means it's solely a display issue, more than likely Photos is adding some aliasing to the image due to the resolution for some reason. Possibly due to the way it displays it on screen, it want's it to be centred and with an odd resolution it doesn't match the display resolution causing the blurriness. 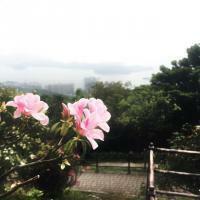 Attached is your blurry image resized to the size of the sharp image. You will see that it's now sharp as well. If you say this because you look at the size of those images - they are both just random regions captured by two different programs. First, how do you expect them to "show" the issue if you don't open the image "locally" using Photos. And, only one of them is expected to show the issues. 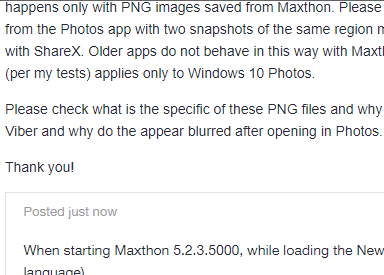 The problem might be Photos, however, why the problem shows only on PNG images captured with Maxthon and on each such image and not on images captured another way? Also, why do I have problems sending/pasting images in Viber when captured with MaxSnap and I don't have problems with other means. Please test and confirm yourself. Image size (dimensions) in pixels and resolution (in pixels per inch / ppi) are different things. You can have any image with any size. The resolution also doesn't and shouldn't influence the display. Please see the attached image for the snap information - the resolution is the standard 72 ppi. And this resolution depends on Maxthon itself. Again, there may be a problem with Photos and I may be able to solve it with reinstalling, although I hope you understand that the program is updated with at least each major update of Windows 10. You suggestion to use another viewer (which may be more advanced and fix any problems in the PNG if there are such) will not solve the problem with the format of the images and the fact is the problem is with this format only and not others. It's possible that Maxthon uses an extended PNG format to be able to add some extra settings to it. If only I have this problem, then it maybe also connected with the video (Intel CPU), monitor, color profile etc. Let's just find out what it is. I will test myself with other computers. After doing some tests with some image capturers, then I quote them, I have to admit that the problem seems to be associated with the "photos" program and how the png file should be encoded when it is captured. I have tried, from the very capture utility of maxthon to capture, like a pair of them of the same style (screenshot.exe and SnapShot.exe, unique capture files, approximately between 700 kb and 955 kb). I have also used the irfanview, xnview and picpick capturers and only the files of the latter (picpick) seem unaffected by the "blur" that occurs when viewing the images with the program "photos" of Microsoft. I upload a gif with the same area captured with the different capturers and reproduced in the app "photos", you notice a slight blur just after you change from one image to another, it is slight but it is there. I'm aware of this. The reason i noted it was due to what was mentioned in some of the search results and after some testing myself. First, how do you expect them to "show" the issue if you don't open the image "locally" using Photos. At one point I was thinking they may have been a screenshot of them open in Photos, meaning it should show the issue if it was the way it was drawn on screen. Not sure how I came to that. I did just test that and it's still blurry, so it is the way it's drawn rather than the way it's displayed. What's more odd, is that on my system you can see it looks normal and sharp, then a fraction of second later it blurs. So there's some odd post-processing going on there. 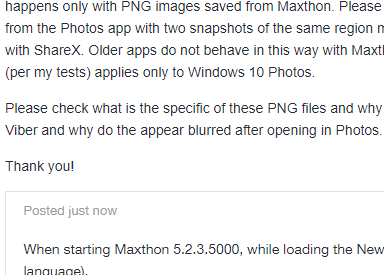 why the problem shows only on PNG images captured with Maxthon and on each such image and not on images captured another way? It's not on each image. I tested with the two MX captured images below, using the same resolutions that you did and get the same issues only on one - the same as yours did. The only differences between the two are dimensions and ratio. The third image is a screen cap of Paint.NET showing the 384-275 image (which shows blurry in Photos), saved with Paint.NET. If you open that in Photos then it also shows blurry. Again, it matches the same dimensions as yours that was blurry. Based on all of that it's definitely NOT a Maxthon issue. This i'm not sure about. I don't use Viber so can't test, unless there's some other program to test with. One thing that I did notice when looking at the files, the MX created ones don't seem to include any DPI metadata. Below is an MX screencap with DPI metadata added (96dpi). Check that and see if that works with Viber. only the files of the latter (picpick) seem unaffected by the "blur" that occurs when viewing the images with the program "photos" of Microsoft. ShareX, which also creates video recordings of the screen, also creates PNG files which don't blur after opening. * Otherwise the effect is the same - the image gets blurred almost instantly. But it is obvious that the image itself is OK and there is something in the encoding, because the image opens fine at first. * Edit: another test proofed that any image can get blurred depending on the dimensions, as noted by 7twenty. So I guess an image made with picpick would get blurred too under some circumstances. First of all, thank you for your time and research, I appreciate it. on my system you can see it looks normal and sharp, then a fraction of second later it blurs. So there's some odd post-processing going on there. Exactly the same. And I agree with you on the processing. OK, funny thing here. Actually I tried that then it came to my mind that we have some specifics here. Viber can send images in two ways - 1. by pasting the image directly (with CTRL+V) and 2. by dragging an image (file) to the Viber window (where you can send it as original or with reduced quality for instant delivery). I suppose the paste option works as the instant delivery option, and the other is to send the image as a file. So, I recalled that the problem here (sending Maxthon captured images with Viber) was not with the quality or something else, that prevents the image to be sent, but that you cannot paste the image as such and it gets pasted as though you have copied a file - as a file link: file:///D:/.... When doing that with other images, they get pasted as images. When pasting the same image in Skype, it gets pasted as an image (probably because Skype interprets the file link and opens it). So, I guess no solution here if Maxthon does not change the way it stores the data in clipboard. However, I don't have currently a program to see the clipboard contents. The other funny thing is, that when I was testing with those files, I captured an area of my desktop with ShareX and guess - it opened and then blurred in Photos. So, I suppose it has nothing to do with the DPI info, but has to do with the image dimensions and the processing done by Photos after opening. Thanks again, I hope this thread helps someone. If possible, I would be happy if the guys at Maxthon can review their clipboard method. Viber definitely rejected to search for a solution to that. Maybe if we know more, we can urge them too. So, I suppose it has nothing to do with the DPI info, but has to do with the image dimensions and the processing done by Photos after opening. I think you're conflating the two issues. They're purely independent of each other and neither affects one or the other. The dimensions of the image seems to be the cause of the blurriness in Photos, although isn't 100% confirmed. Your inability to send images via Viber has nothing to do with the dimensions (causing blurriness) because as we've determined it seems to be a Photos app related issue. More than likely it's something Maxthon related, and at this stage the only thing that I can tell that's different about the files is the lack of DPI metadata. Testing with the modified file should have helped give an answer to this. From your response i couldn't tell whether it worked or not? You seem to have gone off on a tangent. Along with the above, to test if it's Maxthon doing something odd with images in the clipboard, you can open any image in Maxthon and use right click > copy image. If it copies the image directly then it should work fine. If it does do something odd (along with the lack of DPI metadata from MXsnap), then you'll get the same problem again. Hi, thanks for this, not sure if it would help, probably if I tweak with it a little. I need to see the contents of the system clipboard, unchanged. From your response i couldn't tell whether it worked or not? You seem to have gone off on a tangent. Hi, what I was trying to explain is your case is untestable. 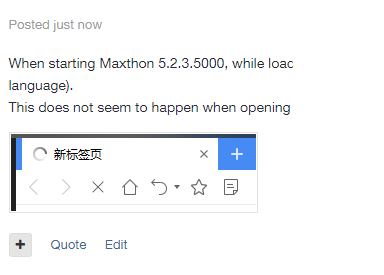 The reason is that Maxthon is not copying images to the clipboard and copying files is another thing. See below. OK, I did that test too. The results are the same. I will try to describe. When you copy an image from Maxthon to the clipboard or you MaxSnap an area and copy it to the clipboard, the data in the clipboard is a URL (file link) to the file on your disk where Maxthon stored the image. What happens when you capture your screen with the default Windows method - PrintScreen? Well, it gets pasted as an image. You can see the difference in the attached images. 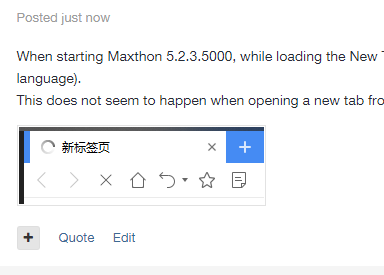 My conclusion is - Maxthon does not copy images to the clipboard, but instead saves the image to disk and puts the link to that file in the clipboard. Yes, this has nothing to do with the blurrines, which appears to be another problem probably of Photos. However, initially I suspected the problems were related, hence they are both mentioned in the same thread. Still, the MaxSnap PNG format is strange (the heading) in some way in respect to the clipboard, as it is only a link. So, is there a possibility that Maxthon will insert images in the clipboard, as Windows does (other programs too)? Ok, now i get what you mean. odd. Up with this post and request! I use A LOT Maxthon snap utility, to paste into Outlook, and since a while (just since a while, let's say a few months) it's not working - while the Alt+Stamp and the capture tool for Win7 are working correctly. can anybody have a look into it? This issue has been resolved since v5.2.3.1000.